This is very exciting. 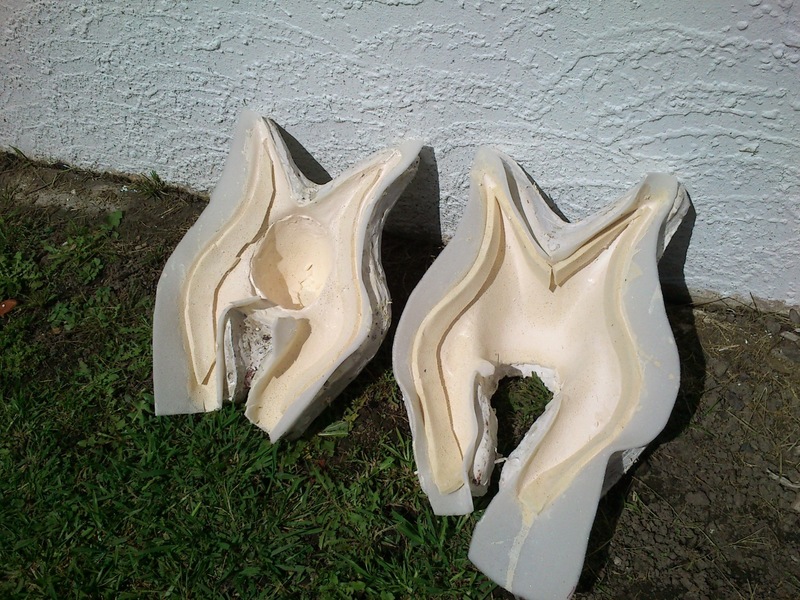 To find a method that creates a predictable latex cast, that is durable and light. I think I may need to do a video guide as if takes both hands, well full body, and is so messy it would ruin my camera equipment to try and get photos. But it winds up cheaper than a purely slush cast piece with about the same flex and is lighter. I still need to test if the support I used for Shaak Ti will work with this new method, but I do have hope. 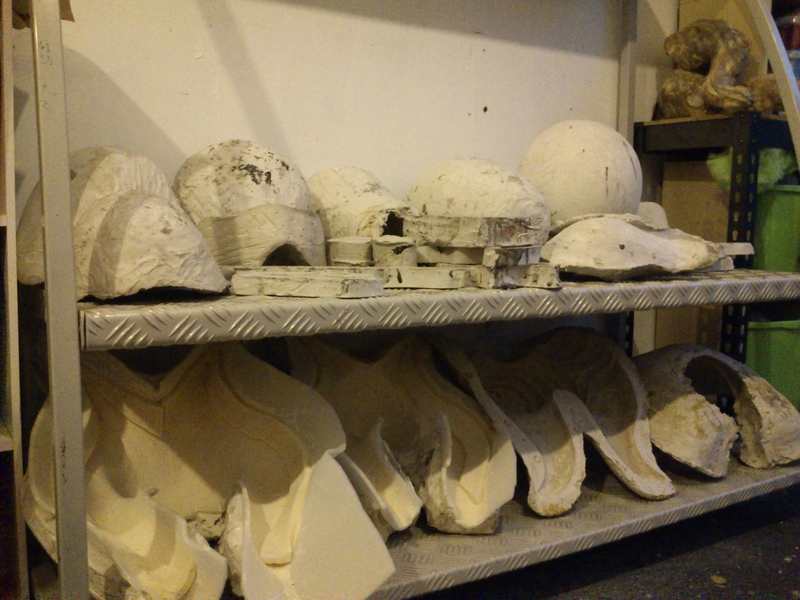 The cast has also not pulled from the molds as much as previous which means it is likely to shrink less. While these molds were relatively easy to work with it may prove more troublesome with the Shaak Ti molds as there are more ridges. But these are exactly why I want to keep using this method- the ridges tend to cause latex to clump into deeper parts of the mold and crete weak thin casts over the higher parts. Tomorrow I will test it. This method may also work for Turian jaws and mask 🙂 Right now the flat back cast for the jaws work very nicely.